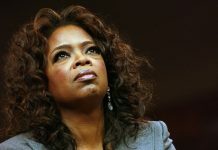 By Marcia Montenegro| What do Oprah Winfrey, the Unity School of Christianity, Chicken Soup for the Soul, Christian Science, and something called New Thought all have in common? The answer. The Secret! More on this later. With 1.75 million copies of The Secret by Rhonda Byrne sold out, Publishers Weekly reported that Simon & Schuster placed the biggest single reorder in its history for this book, “going back to press for two million more copies,” gaining the number one spot on Amazon. What is The Secret talking about and should we care? 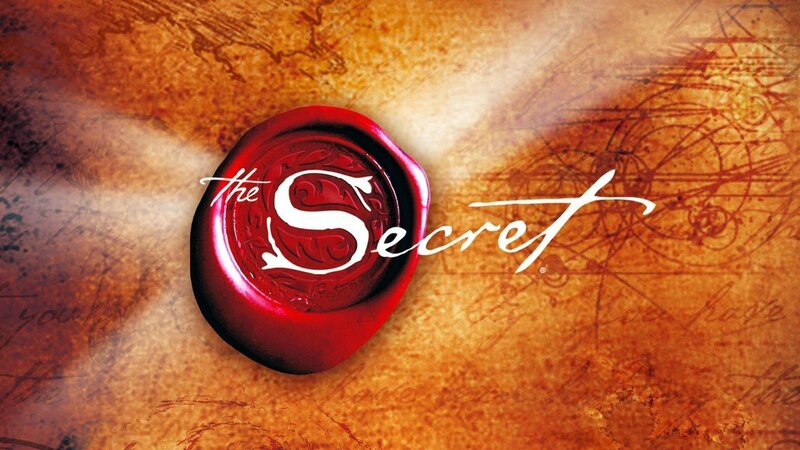 According to the official Secret website, in 2004, after reading a book, The Science of Getting Rich by Wallace D. Wattles (published in 1910), Australian Rhonda Byrne’s life was transformed and she wanted to share this amazing understanding with the world. Following two months of intense research, she assembled a team in 2005, traveled to the United States, and filmed “teachers of the Secret” for a DVD video. After the DVD was made, Byrne wrote the book The Secret. In February 2007, some of the DVD’s panel members, along with Rhonda Byrne, appeared on the Oprah Winfrey show. These appearances helped propel The Secret to its number one place on Amazon. On the DVD, Proctor says this “Law” is that “energy attracts like energy.” This is what the Secret is. The Universe, like the genie in stories, responds with whatever we think with “Your wish is my command.” Most of the Secret’s adherents make both people and the universe sound like mere interlocking machines. The incessant theme of the DVD and the book is that this “law” manifests what you are thinking about. On the DVD, Lisa Nichols states that a “time delay” prevents what we are thinking of from happening instantly, giving us time to choose our thoughts carefully. On the other hand, Joe Vitale tells us that if we are in a car accident, we did attract it. However, if we recognize and sustain good feelings along with good thoughts, we can avoid negative thoughts and draw the objects of desire to us. Although the book and DVD offer the message that our thoughts and feelings are powerful enough to attract what we desire, when an ABC “Nightline” interviewer pressed The Secret’s Bob Proctor on the issue, Proctor replied that one must also act. The need to act in the book, however, involves feeling grateful, visualizing what you want, and acting as if what you desire is true. In fact, the book asserts that we are simply to have “trust and faith in the Universe” by focusing on what we want, “without giving any attention whatsoever to ‘how’ it will come about.” The formula, “Ask, Believe, and Receive” is given many times on the DVD and in the book. Efforts are made to link this to quantum physics, but quantum physics does not support these teachings. Although there are two quantum physicists associated with the book and DVD, one of them is John Hagelin, a follower of Maharishi Mahesh Yogi and Maharishi’s Transcendental Meditation teachings. What lies behind The Secret is a movement called New Thought, a modern forerunner of the New Age Movement. Byrne apparently thought she was uncovering a long buried belief, and the DVD forcefully dramatizes this as something kept underground for centuries, with only handfuls of people aware of it. Byrne must never in her life have come in contact with motivational teachers, New Thought churches, or the New Age to believe this. New Thought, also referred to as “Mental Science,” “Mind Science,” “Divine Science,” or “Science of Mind,” has roots in the ideas of Emmanuel Swedenborg (1688-1772) who taught that God is impersonal, Jesus was a way-shower, sickness is caused by evil thoughts and desires, and heaven and hell are states of mind. For a short while, I attended services at a Unity Church. 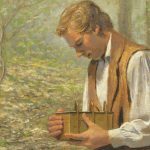 I recall a guest minister showing the congregation a one hundred dollar bill he keeps in his wallet because “money attracts money.” I had been hearing for several years that positive thoughts attract positive things, and negative thoughts draw negative ones, so this was not entirely new to me. Acknowledgements include Jungian Joseph Campbell, several New Thought pioneers, Jerry and Esther Hicks and the teachings of Abraham, Mormon motivational teacher Stephen Covey, and New Age writer Eckhart Tolle. A sampling of the DVD panel and those quoted in the book include Jack Canfield of the famed Chicken Soup for the Soul series; Feng Shui expert Marie Diamond; New Age writer John Gray, author of Men Are From Mars, Women Are From Venus; TM (Transcendental Meditation) practitioner John Hagelin; Lisa Nichols, co-author of Chicken Soup for the African American Soul; Bob Proctor, whose teacher was a student of New Thought proponent Napoleon Hill (who wrote Think and Grow Rich); and New Age bestselling author Neale Donald Walsch. Many people are misled into thinking that authentic Christianity is a part of New Thought. New Thought teachers frequently refer to Jesus, and Unity bills itself as “practical Christianity.” Unity teaches that the Bible has hidden spiritual meaning that is discovered through a “higher” understanding of reality and man’s divine nature. The New Age and New Thought are so intertwined it is impossible to distinguish them. But these labels are rarely used; it is more likely that followers of these beliefs will call themselves Christians. Lisa Nichols, one of The Secret’s teachers, enthusiastically proclaimed on “Larry King Live” that God is a part of The Secret. The question is: what kind of God? The God of New Thought is impersonal. One site states, “God is an intelligence and a presence: not a person, but a principle.” This is similar to the creed of many motivational New Age teachers today, such as Deepak Chopra, who thinks God is a “Divine Intelligence” permeating creation. This brings to mind a certain serpent in the Garden in Genesis chapter 3, where Eve was tempted to be like God by believing the serpent instead of God, and that eating the fruit of the forbidden tree would bring wisdom and life instead of death. Ironically, Adam and Eve at that point had life, but through this action, brought death and spiritual separation from God and physical degeneration. I was taught by psychics in various classes that everyone is the “I AM,” which is actually the English rendition of the name of God as given to Moses in Exodus. Jesus used this phrase of himself in the Gospel of John. This name expresses being the uncreated God who always is — omniscient, all-wise, all-loving, omnipresent, needing nothing, and morally perfect. Using God’s name for yourself, a human who is a creation of God, is the apex of hubris. Being made in the image of God does not make a human being the same as God. It means that humans have a will, moral knowledge of good and evil, and are made for relationship with God. The image, however, has been flawed through the Fall, and man needs redemption, which comes through Christ. 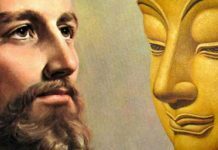 New Thought elevates man and brings down Jesus, who, in New Thought, was a man who recognized his inner divinity (an attribute of all men) and knew how to use the hidden powers of the mind. 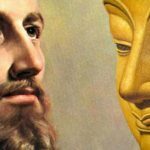 This awareness of one’s divinity is the “spirit” of Christ or “Christ Consciousness,” something all people can achieve like the “wayshower,” Jesus. New Thought (and New Age) rejects belief in sin, evil, and Satan. 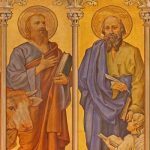 Jesus is quoted in The Secret (out of context), and is grouped with Abraham, Isaac, Jacob, Joseph, and Moses as being a prosperity teacher and a millionaire, with a lifestyle even more affluent than some millionaires today. 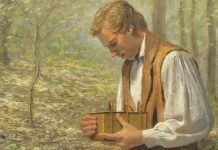 This certainly does not fit with Jesus’ own words that foxes have holes and birds have nests, but “the Son of Man has nowhere to lay his head.” Jesus taught against seeking wealth, said that it is difficult for a rich man to get into heaven, and gave instructions to seek first the kingdom of God and His righteousness. Michael Beckwith, prominent in the DVD and the book, endorsed a New Age book that presents channeled teachings supposedly from God. The book offers this alleged statement from God, “Christ Consciousness is the awareness of the Oneness of your nature with me.” “God” goes on to say Jesus is not a Savior, but only a “representative of my nature,” and that Jesus and Christ are not synonymous. The “conscious awareness” of a person’s oneness with God “is the definition of the word ?Christ. 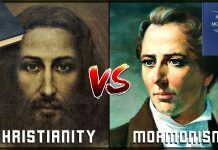 '” This view that Jesus and “the Christ” are not the same, and that Jesus is not unique, is fundamental to both New Thought and New Age beliefs. Lisa Nichols on “Larry King Live” said, “And what I do know is that in Proverbs it talks about ‘so a man thinketh, he is.’ In Matthew, it says ‘if you ask and you believe in your prayers, then you will receive it. '” On the Oprah Winfrey show, Michael Beckwith quotes “The Kingdom of God is within you” as evidence that heaven is within us all. If these excerpts are examined, it is easy to see they are taken out of context. The Proverbs verse (Prov. 23.7) is about acting one way outwardly but thinking another way. Starting at verse 6, it says, “Do not eat the bread of a selfish man, Or desire his delicacies; For as he thinks within himself, so he is. He says to you, ?Eat and drink!’ But his heart is not with you.” Rather than supporting New Thought principles, these words actually are condemning the actions of a selfish man! The complete Matthew statement (21.22) is: “And all things you ask in prayer, believing, you will receive.” In the Bible, prayer is submission to God’s will; prayer keeps us humble and dependent on God. 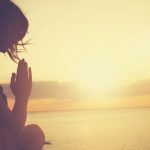 In New Thought and the New Age, prayer is often treated as a technique. Jesus modeled the teaching “Delight yourself in the Lord, and He will give you the desires of your heart.”  This Psalm directs us to trust in God and to “commit your way to the Lord” (vv. 3, 5). It teaches us that a good person “delights” in God’s way, and urges man to reject evil and do good (v. 27). Prayer changes those who pray. Prayer is not a method to control our universe, but rather a petition before the one true God who created the universe, seeking to do his will. “The Universe” of The Secret is part of God’s creation; it cannot respond to thoughts or statements. The verse from Luke 17.20, 21, is more correctly translated “The Kingdom of God is among you” or “in your midst,” and appears this way in modern translations. Jesus was rebuking the Pharisees in this passage, telling them that they were missing the Kingdom because they refused to recognize Jesus as the Messiah. Whether something works or not is not always a good criteria, because that says nothing about the moral or spiritual nature of the teaching or product. When spiritual beliefs are the root of a teaching, such as The Secret, then the question of whether it works or not becomes even more irrelevant. I saw many things work, or seem to work, when I was involved in the New Age and in astrology, but they were based on doctrines antithetical to the true God, and I would never use them now. The Secret has been shown to be antithetical to God, Jesus, and the Bible, and anyone who chooses to follow its ideology does so at his or her own risk. The Secret comes up empty because there is no loving God, just a mechanistic “Universe” responding automatically to techniques. The beauty of the true Jesus is that he gave a simple proclamation, to believe in him to gain eternal life. There are no complex philosophies, no hidden messages, and no “secret” techniques involved. You will never be satisfied, no matter how many desires are filled, without the true Jesus. For more information on The Secret see About the Secret. 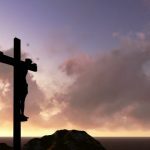 This article was originally featured on Christian Answers for the New Age and was republished with permission. On the DVD, Beckwith is termed a “visionary.” He is the founder of the Agape International Spiritual Center. “Nightline” aired March 23, 2007. “Nightline” did not mention the New Thought Movement origins of The Secret. Byrne, 74-78, 84, 86, 89-92, 134-35. Gratitude is presented as a technique to aid one in bringing desires into reality. Rhonda Byrne, The Secret (NY: Atria Books; Hillsboro, OR: Beyond Words Publishing, 2006), 40. “Avatar” is a term originally to describe incarnations of the Hindu god Vishnu. The term migrated into the New Age, usually to refer to a spiritually evolved being who is able to incarnate or appear at will to guide those ready for “higher” teachings. Byrne never defines the term in her book. Information from “A Brief Timeline of the New Age Movement,” from Watchman Fellowship athttp://www.watchman.org/na/natimeline.htm. Interestingly, there is a very long entry on Swedenborg in Lewis Spence, An Encyclopedia of Occultism (NY: Citadel Press/Carol Publishing Group, 1988), 392. For more on New Thought and Quimby from a New Thought viewpoint, see “New Thought: What It Is and How It Can Help You,” http://website.lineone.net/~cornerstone/history2.htm. Note how Quimby’s term “Christ Science” was used by Mary Baker Eddy when she founded the Church of Christ Scientist (usually referred to as Christian Science). Christian Science is not connected to the Church of Scientology. The Unity Church is not connected the Unitarian-Universalist Church. The Unitarian Church was founded in the 16th century in reaction against the Trinity; in 1961, the Unitarians joined forces with the Universalist Church, becoming the Unitarian-Universalist Church. 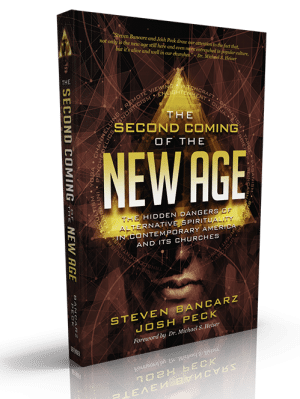 Although it is not uncommon to find people with New Age beliefs in both churches, there are marked differences between them in their outlooks and spiritual underpinnings. For more information on Unitarian-Universalists, see the FAQ page on their official site at http://www.uua.org/aboutuu/newcomerfaq.html. Neither Unity nor the Unitarian-Universalist churches are connected to Rev. Moon’s Unification Church. Genevieve Behrend (1881-c. 1960), Robert Collier (1885-1950), Charles Haanel (1866-1949), Prentice Mulford (1834-1891), and Wallace Wattles (1860-1911) are given brief biographies on pp. 186-197. Mulford is even acknowledged in the book as being one of the early founders of the New Thought movement, 193. Fillmore is not listed here, but is quoted in the book. The overall message of The Secret is an affirmation teaching, but affirmations are specifically mentioned on p. 168. “Norman Vincent Peale, Champion of Positive Thinking,” http://normanvincentpeale.wwwhubs.com/. These people also appear on the DVD. Anthony Robbins, “Unlimited Power,” in The Fireside Treasury of Light, ed. Mary Olsen Kelly (NY: Simon & Schuster, 1990), 102. Louise Hay, “You Can Heal Your Life,” in The Fireside Treasury, 111. Some occultists spell “magic” with a “k” to distinguish it from stage magic. 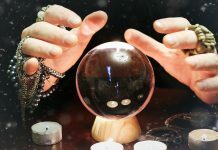 For a Christian evaluation of magical practices, see Chapters 9 and 10 in author’s book, SpellBound: The Paranormal Seduction of Today’s Kids (Colorado Springs: Life Journey/Cook Communications Ministries, 2006). Donald Tyson, The Truth About Ritual Magick, 2 ed. (St. Paul: Llewellyn Publications, 1994), 29. Ibid., 163. Also, see 159. Ibid., 164, 183. Also, see 146, 148, 169, 175, 184. Matt. 19.23-24; Mark 10.25; Luke 18.25. Rev. Deborah L. Johnson, The Sacred Yes (Boulder, CO: Sounds True, Inc., 2006), 207. Aired 3/8/07; transcript at http://transcripts.cnn.com/TRANSCRIPTS/0703/08/lkl.01.html. This verse and Mark 11.24 are also quoted in the book on p. 54. Matt. 6.10. Also see Matt. 26:39, 42, 44; Lk 6.28, 18.13, 21.36, 22.40; Jn 17.